We’ve been telling you for years that fake Apple chargers are bad news, but a new study shows they are even worse than we thought. The UK’s consumer protection group, the Chartered Trading Standards Institute, recently purchased 400 counterfeit chargers online as part of an investigation into their safety. Several tests were conducted including an electrical strength test in which high voltages are applied to the units to see how much voltage will flow between the input and output. If the current is above the threshold the unit is determined to have insufficient isolation with potential for electric shock. Only three of the 400 passed. We’ve written about the risks of counterfeit cables before, most recently in the context of USB-C cables that can kill laptops. 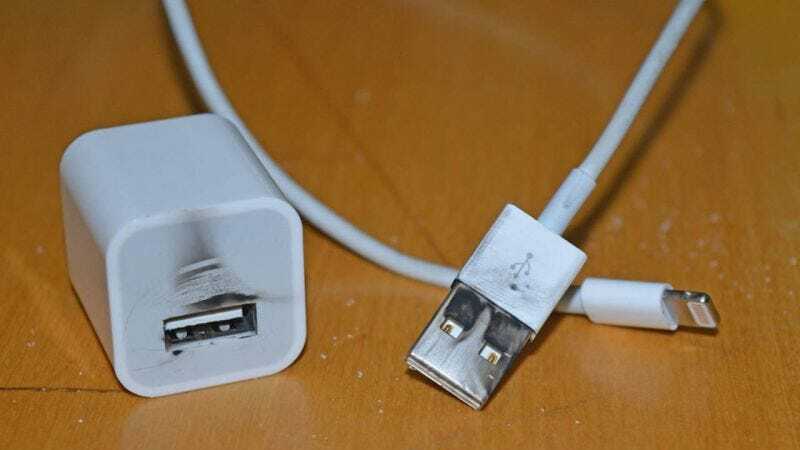 In the past, fake chargers have led to fires and even exploding phones. Even knowing this, it’s striking to see that 99% of counterfeit chargers couldn’t even pass a basic safety test. This is undoubtedly one of the reasons Amazon is reportedly finally cracking down on fake products; these are fake products that could put people in actual danger. I’ll reiterate what I wrote back in October: Spending $30 on a charger can feel ridiculous (and yes, it is! ), but its the one area where you really should be buying directly from the manufacturer or from a UL-certified third-party like Amazon Basics, Belkin, or Monoprice. Don’t put yourself or your gadget in danger just to save a few dollars.